Hi from twenty years in the future! I want you to know I get sad when I think about you. Not because you don’t have a great life ahead—you do!—but because you are confused and lonely and it takes time for things to iron themselves out, for the world to start making more sense, for the things that are painful to become the very same things that you are proud to have survived. Right now you are probably writing in your journal about a boy you like (Jerry? Justin? Jon? You had a thing for J-names I guess) and wondering if you are pretty enough for them to like you back. Your bedroom door is closed and luckily you have a whole universe in your bedroom—magazine cutouts on the wall and a perfect selection of showtunes and sad music and oldies to choose from with your brand-new stereo, and two bookshelves stacked with books and a stuffed animal named Tammy and a fish named Windy who is beautiful but won’t live very long (I’m sorry. Fish often don’t). You are uncomfortable and sad, but you don’t know why. You have a sinking feeling in your chest. You should be happier than you are, you’ve been told. I want to tell you that these things—these feelings that are deep and wild and thick and impossible—are okay. You can have them. You don’t have to work so hard to not have them. It won’t work anyway, and trying to not have feelings only makes the bad feelings worse. I want to tell you that worrying about being pretty enough is a thing you’re going to fight for a long time. You will fret and wonder and ask over and over in your head, every time you see yourself in a mirror or catch sight of a photograph taken of you, am I pretty? Am I pretty ENOUGH? There is no real answer, aside from the answer that is the opposite of an answer–to stop asking the question. Pretty is a word that doesn’t mean much of anything, actually, and what I can tell you for sure is that you are smart enough and kind enough and funny enough and a good enough writer and friend and daughter and person. Actually, you are all those enoughs even on days when you are sulky or snarky or accidentally mean or a little on-purpose mean or failing a test or getting a pimple or being awkward in a group or making a gigantic or super tiny mistake. You are enough. There’s nothing to fight for, there’s nothing to try to make better in yourself. It’s already there. Listen: You are not perfect. That is the answer to the question you keep asking. You are not perfect because no one’s perfect and no one’s expecting you to be perfect except that mean voice inside of you that you will learn how to quiet. I want to tell you that the things you love matter, and that being alone in a closed-door room for hours on end doesn’t make you lazy or boring or selfish or uncaring. It doesn’t make you friendless or strange or pathetic or bad. You are good at knowing what makes you happy and what you like to do. Do those things; find that happiness. Don’t listen to people who tell you to do things differently. I want to tell you that you can trust yourself. I want to tell you that every day for the next six years, until you leave home and move to New York, and I want to tell you that for the next fourteen years after that as you build your life there and make friends who are family and discover passions that are careers and meet boys who will become boyfriends and a boyfriend who will become a fiancé and have an apartment will become a home. You can trust yourself to know when something is wrong or strange or not right or not your fault. You can trust yourself to know what’s good and safe and right for you. You can trust yourself to do the right thing as much of the time as an imperfect person is capable of doing and you can trust yourself to recover from the times when you don’t do the right thing. You can trust yourself to take care of yourself. You can trust yourself to stand up for what you believe in. You can trust your feelings and your dreams and that little spark of strength that you think is maybe there. You can trust yourself, because you are not just a sad girl sitting in a room wishing things were different. You are a girl who is living in a moment that doesn’t make much sense and is doing her very best to survive it. And you can trust yourself, because, guess what? You do survive it. You really, really do. PS: You think you are a cat person. You are not. You are a dog person. PPS: No, you aren’t really going to grow too much taller. Sorry. Rules for Stealing Stars can be found on IndieBound, Barnes & Noble, Amazon, or ask for it in bookstores and libraries near you. 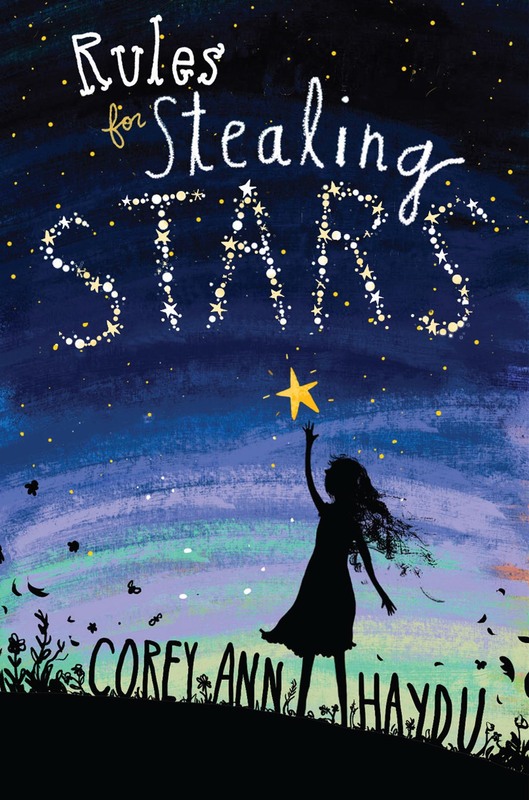 In the tradition of Sharon Creech and Wendy Mass, Corey Ann Haydu’s sparkling middle grade debut is a sister story with a twist of magic, a swirl of darkness, and a whole lot of hope. Silly is used to feeling left out. Her three older sisters think she’s too little for most things—especially when it comes to dealing with their mother’s unpredictable moods and outbursts. This summer, Silly feels more alone than ever when her sisters keep whispering and sneaking away to their rooms together, returning with signs that something mysterious is afoot: sporting sunburned cheeks smudged with glitter and gold hair that looks like tinsel. 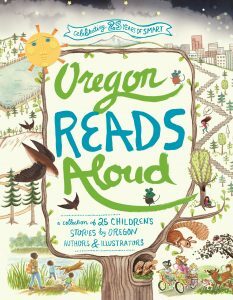 Corey Ann Haydu is the author of OCD LOVE STORY, LIFE BY COMMITTEE, MAKING PRETTY and her middle grade debut, RULES FOR STEALING STARS. 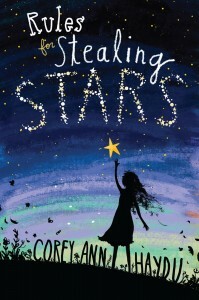 A graduate of NYU’s Tisch School of the Arts and The New School’s Writing for Children MFA program, Corey has been working in children’s publishing since 2009. Connect with Corey on twitter at @CoreyAnnHaydu. 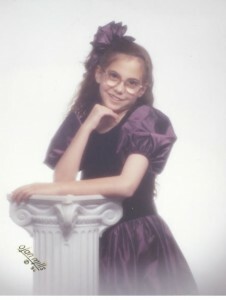 This is you from the future (the way way far future…middle school seems so long ago now!). Life is pretty great! You have an awesome husband, adorable new baby and a cuddly dog who loves to lay by you when you write! I want to tell you a cool story about a time in your life when you were really upset, because it has a really happy ending that you just didn’t know about yet! So remember at the start of middle school when there was a meeting after school about band? And all the instruments were spread out in the music room, and you could try them all out? Remember how you fell in love with the saxophone (probably partly because your cousin and close friend, Shelly, played it and partly because Lisa Simpson played it…yep, you must have been onto something when you were obsessed with The Simpsons, because over twenty years later, it’s still on the air!). Anyways, you wanted to play the saxophone so bad and as your other friends were trying out instruments, you didn’t even touch another one because you knew that the saxophone was the one meant for you. You went home all excited to tell your mom about it but instead of being as excited as you were, she looked upset. You didn’t understand why until she told you how expensive the saxophone was. And how she couldn’t afford for you to play it. Remember how upset you were? Your mom felt bad and told you that you could keep taking piano lessons, but it wasn’t the same. You wanted to pick up that shiny saxophone and press down on the keys again. You wanted to leave regular music class and go to band with the rest of your friends. You wanted to be a part of the Christmas concert and spring recital and wear a fancy black skirt and white blouse while everyone watched you play. You were really sad about it and as much as you tried to hide your disappointment, your mom could tell. So she suggested that instead of the saxophone, you could take acting lessons at The Beck Center. You loved the Beck Center! Your Girl Scout troop always went to see the children theater shows there, and you used to beg your mom to let you be a part of it. You quickly agree, the saxophone forgotten and this begins one of your greatest adventures. You start going to classes every Saturday and eventually get a role in a play. You’re only a townsperson in Cinderella, but you treat it as if you have a lead. You get cast in more shows and you couldn’t be happier. The Beck Center becomes your home away from home, and you make some of your best friends there. You love acting and are so thankful that your mom suggested you do this instead of the saxophone. Fast forward to twenty plus years later. You still love theater. 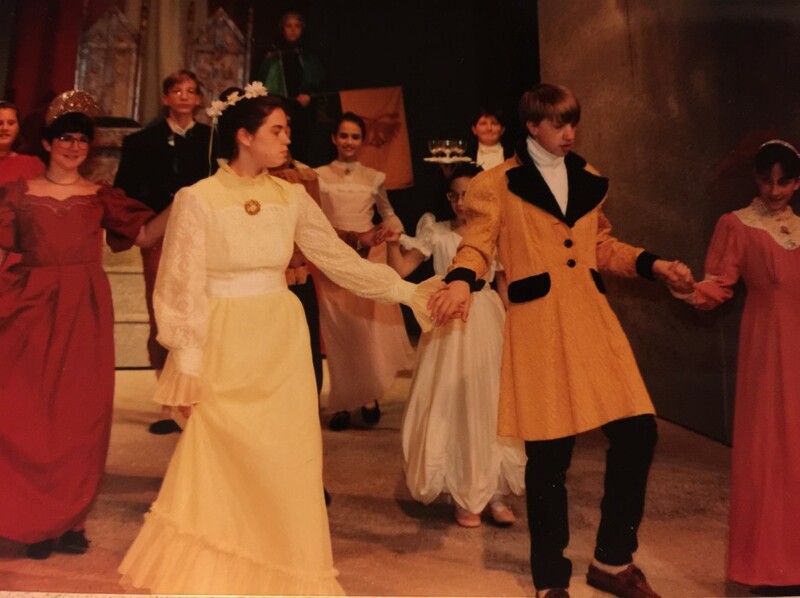 You minored in it in college, you’ve directed shows at the middle school where you teach, and you’ve seen so many plays you’ve lost count (including two on Broadway!). One day you have an idea for a book, sparked by your years spent in children’s theater, and it starts to grow in your head. 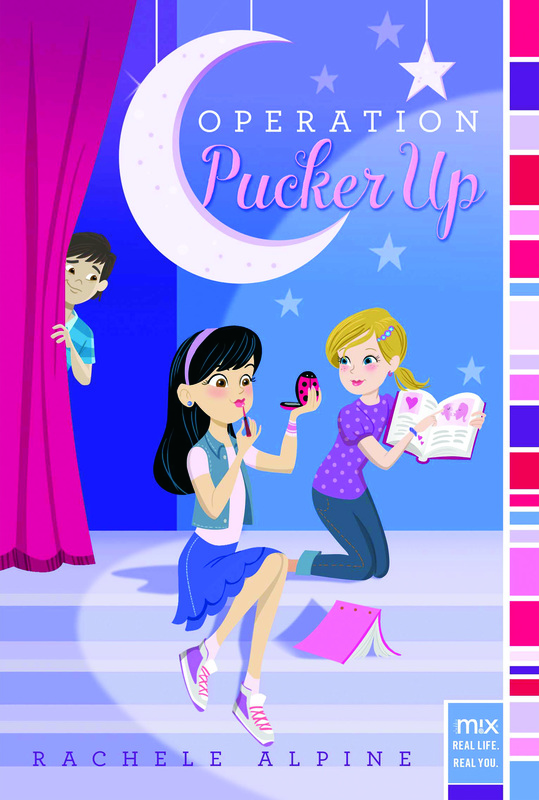 You sit down to write it and Operation Pucker Up is born. Your agent sells it and now, in a week, you’ll have your launch party at The Beck Center! And your old friends will be there reading chapters from the book and acting them out! How cool is that!?! So what I really want to say to you is don’t be too sad about not playing the saxophone, because it was a blessing in disguise. It might have seemed unfair at the time, but look at what happened because of it! You were introduced to one of your favorite places in the world and made some best friends for life. So remember that life can surprise you sometimes. I’ll be thinking of the funny way things can turn out as I’m standing on that same stage you once did and thanking everyone for coming out to celebrate the release of Operation Pucker Up! 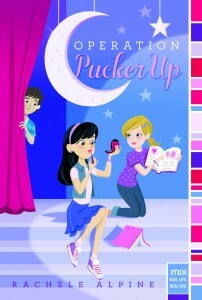 Find Operation Pucker Up on IndieBound, Amazon, B&N, and Target or ask for it at bookstores and libraries near you. Connect with Rachele on RacheleAlpine.com, Instagram, Facebook, and Twitter. This is you, writing from the future where TVs are larger than your Kirk Cameron poster but only as thick as a Nancy Drew book, and there are little boxes that you hold in your hand to change the channels, and there are tiny, flat phones that fit in your pocket and have no curly cords to attach them to the wall. I am not even joking here. So, it’s almost your eleventh birthday and you are over the moon because you just received a letter from the author James Howe who wrote some of your favorite books like Bunnicula, The Celery Stalks at Midnight, and Howliday Inn. 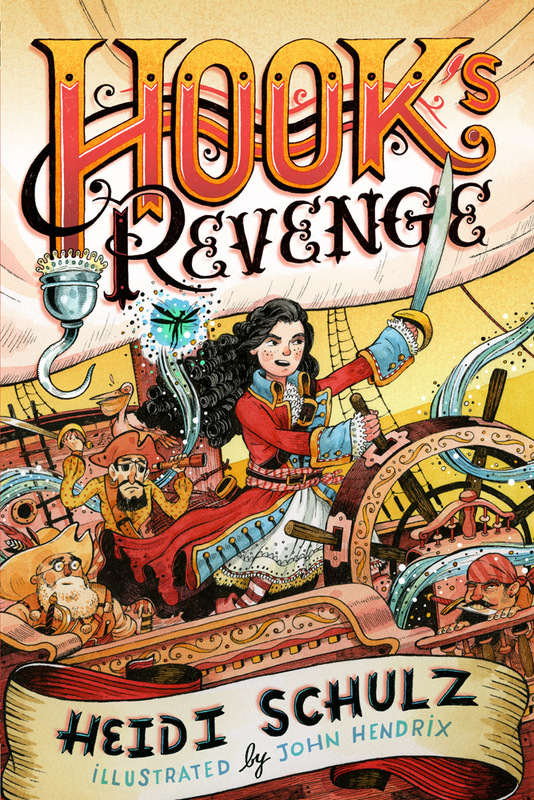 I know, I know–James Howe! You will still find this event as mind-blowing thirty years in the future as you do right now. And that advice he gives you? It’s great writing advice and you will internalize it and apply it without even realizing you’ve done so. Eventually his letter is going to get filed away in a scrapbook and you will forget about it for a while as you get caught up with dance and your aspirations to be a Laker Girl or backup performer for Janet Jackson. As you pursue those dancing dreams, you will also rediscover your love for writing and stories, and that passion will ultimately triumph over everything else and point you with purpose and focus into your future. And then one day you’ll be living in Colorado (yes, you really do move out of California in the future. I know, you can’t imagine living anywhere else right now–except maybe Stoneybrook, CT, with the rest of the girls in The Babysitter’s Club–but you will move and you will be happy about it.) While sorting through your childhood things in Colorado, you will rediscover the letter from James Howe, and this will happen during a stretch of time when you are working multiple jobs while trying to write a novel. 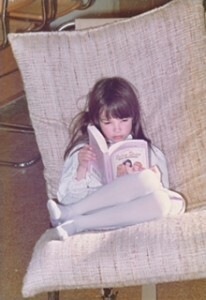 During this period you often doubt whether you have it in you to be a children’s book author like you dream of becoming. Finding that letter will feel like your destiny has been revealed, and you will plunge forward with confidence. Which doesn’t mean the path suddenly becomes clear and easy, but you will feel content with your choice to be on the path, no matter what obstacles lay ahead. You are the driver of your life. Other people will offer you maps, tell you the best route, or demand that you follow to where they are going, but ultimately you have the say in where you steer your car and how you get to your destination. You can’t control everything that happens, but you can control how you react and how you move forward. Look to people you admire as mentors (fictional people count too!) and think about how they carry themselves through the world and what they would do in a tough situation. Surround yourself with good people. You can tell the quality of someone’s character by their actions, not their words, but at the same time be understanding that everybody has their bad days. There is always an opportunity to try again. Just because you fail at something once doesn’t mean you should give up. If it still matters to you, try again. Maintain and nourish your sense of humor. This will help you in just about every aspect of life. 2. Your collection of VHS tapes with dutifully recorded and saved episodes of 21 Jump Street, ALF, and Moonlighting are not going to come in as handy as you think they will. 3. I’m sorry to break this to you, but you are not going to marry Corey Haim. You’ll ending up marrying . . . well, I don’t want to spoil it for you. But trust me, it’s a very happy outcome. 4. You won’t transform into an extroverted, chatty person, but that’s okay. It really, really is. All those things about yourself that make you feel awkward and like you don’t fit in? You’ll end up embracing them and appreciating your own individuality. Okay, you can get back to your game of Super Mario Bros. now. And happy birthday, kid! 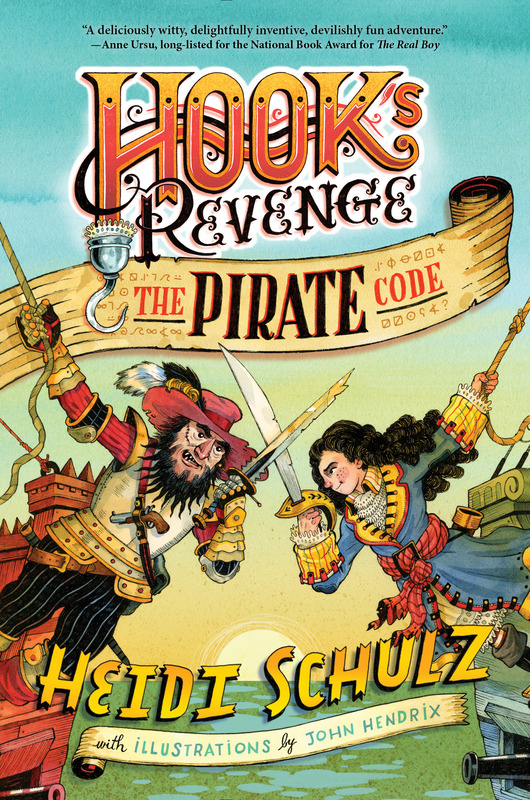 Racing against time, Emily and James rush from clue to clue, desperate to figure out the secret at the heart of Griswold’s new game–before those who attacked Griswold come after them too. 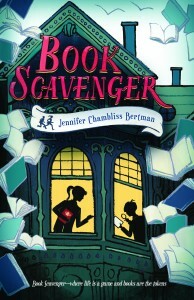 To learn more or play the game in real life, visit bookscavenger.com. 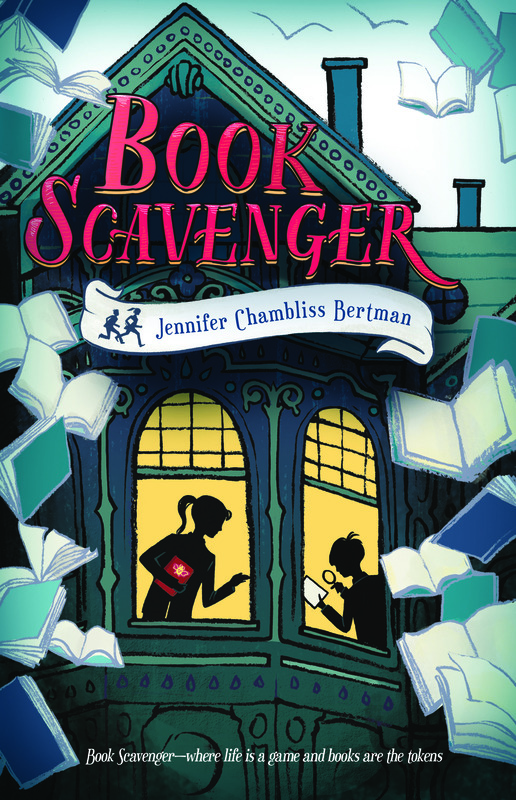 Find Book Scavenger on IndieBound, Amazon, B & N, Tattered Cover, or ask for it in bookstores and libraries near you. 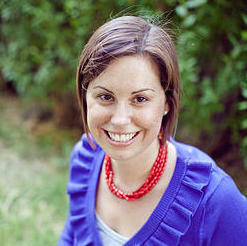 To learn more about Jennifer you can visit her blog, follow her on Twitter, or Facebook. You don’t know me, but I know you. I was you not long ago. Well, you probably think it’s been a while, but I can still remember what it was like to be ten years old. I’ve always been inside our head. You like to play with your friend Brooke. In the summer, you put doll clothes on water balloons and play house out on the lawn, and in the winter, you turn Brooke’s basement into an obstacle course. But you also like to retreat to your own basement, where a blocky gray computer sits, waiting for you to fill its memory with stories. As you get older, you’re going to retreat to that computer more often. Luckily, you’ll have good friends who won’t get upset when you tell them you’d rather stay in. Despite this love of staying in, you think you’re an extrovert, and you play one pretty well. You like to speak in church and be the center of attention. Someday, you’ll fake an English accent and entertain several dozen of your peers while you wait in line in a narrow, crowded hall. But after you’ve had a few kids, you’ll read this great book, Susan Cain’s QUIET (write that down! ), and discover that you’re actually an introvert—and that that’s okay. Being introverted doesn’t make you lesser. You just grew up in a culture that values extroversion (which is probably why you’ve convinced yourself you are). What else can I tell you about thirty-one-year-old Krista? You like grapefruit and green beans now. 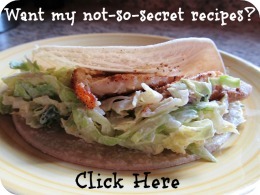 And oh my gosh, you ate tilapia for the first time a few weeks ago and actually liked it. (You still don’t like salmon, though.) 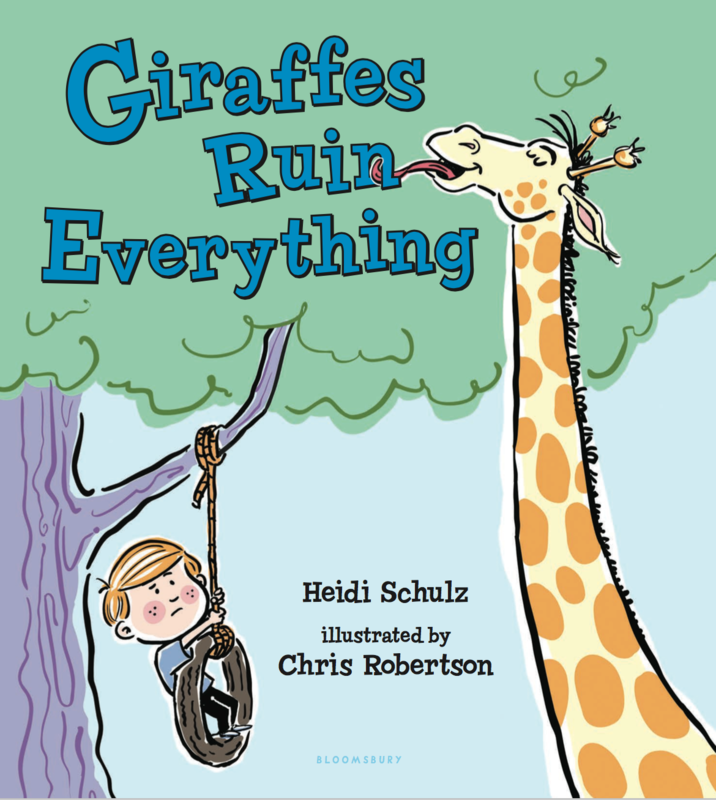 You have an awesome husband, three great kids, and two books coming out this year. In other words, you have pretty much everything you’ve ever wanted, but you still have your rough days. Now, that doesn’t mean you won’t compare yourself to others. I hate to break it to you, but you’re pretty good at that. You know what will help? Making friends with other people who are in a similar boat. It’s much easier for you to feel genuinely happy or sad for others when you’ve already established a relationship with them. Oh, and don’t forget to give more than you take. That will just make you feel like an all-around good person. Keep at it, ten-year-old Krista. You’re standing on the threshold of a beautiful life. 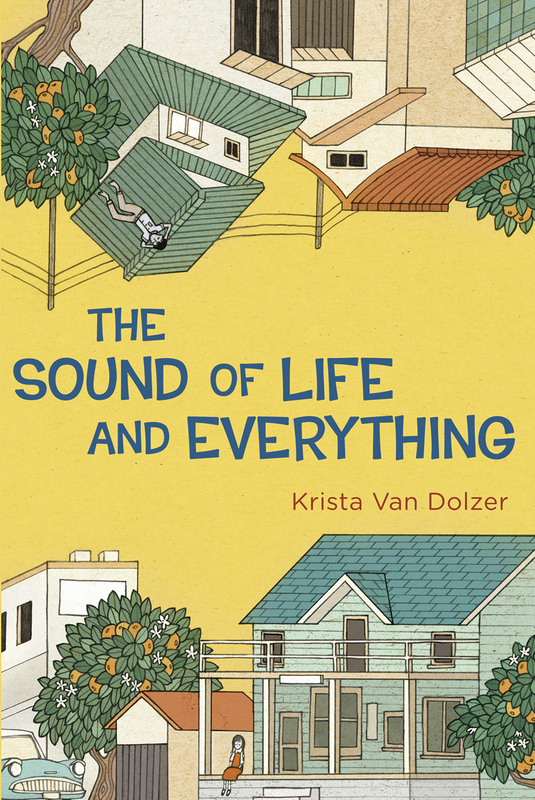 The Sound of Life and Everything is available on IndieBound, Powell’s, B&N, and Amazon, or ask for it in bookstores and libraries near you. 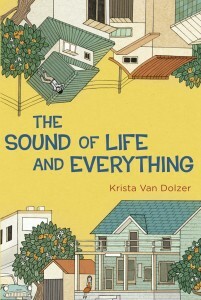 Krista Van Dolzer is a stay-at-home mom by day and a children’s author by bedtime. She enjoys watching college football and researching her ancestors. 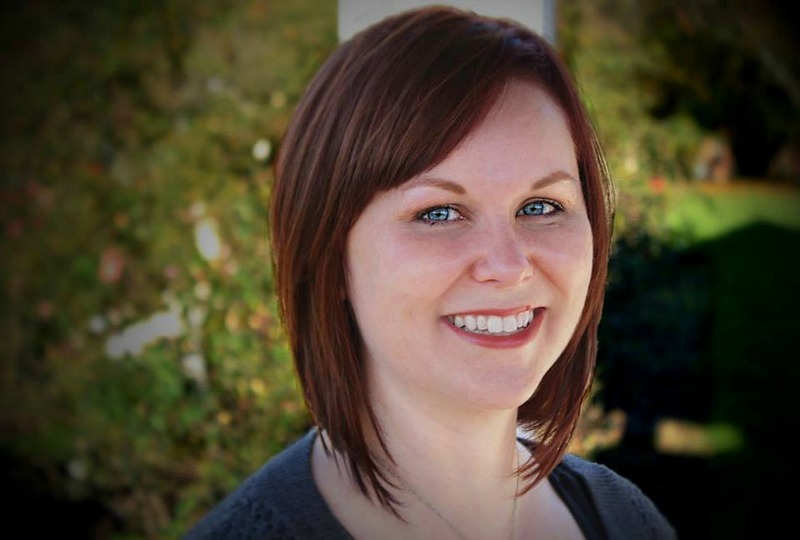 Krista lives with her husband and three kids in Mesquite, Nevada. 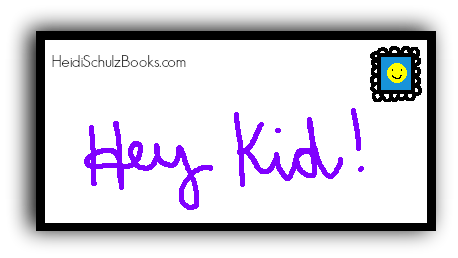 Connect with Krista on KristaVanDolzer.com, Twitter, and Goodreads. You know how people tease you for reading so much? Don’t listen to them, and don’t change that. Escape into books when you need to. Remember that spending time with books doesn’t mean you don’t like people — it means you love stories. It’s fine to need a break from the everyday world sometimes, and a reading life is a pretty great life. Anyone who says you can’t live in books has never been a writer. You know how, when you have a bad day, your mom always says “It’s material for your novel” – she’s right. It really is. It’s okay to ask for what you truly want. You’re going to be surprised how many things could have been possible if only you’d asked for them. Not everything. But more than enough. If it’s important, it’s worth asking. Be your own kind of strong. Do the best you can to do what you think is right, even when it’s hard. Practice apologizing when you did something that wasn’t good after all. (You’re going to use that skill a lot.) Be brave for yourself, too — stand up for yourself. People shouldn’t treat you in ways you’d never treat someone else. Listen to what you actually think. Just you. Everyone in your life is giving you advice and opinions right now, even me, and some of it’s really good advice, but you know what? It doesn’t matter as much as learning to find your own way through. Learn what’s right for you, and learn how to stick to it. But remember how many people are on your side. Your family, your friends, your teachers, your community – even if they don’t say it, most of them are there for you when you need them. They believe in you. They are proud of you. Remember that I’m proud of you, too. When you wondered what someone else would think, and then said what you believed anyway? When you stepped away from the crowd, or towards it, to do what you felt was right? Keep doing that. Keep believing you can do anything. I can’t wait until you see what you can do. P.S. Maybe you don’t actually hate chickens. Or maybe you only hate Rhode Island Reds, like that one that pecked your foot. That’s fine; you can use that. Find Unusual Chickens for the Exceptional Poultry Farmer on IndieBound, Third Place Books, Powell’s, and Penguin Random House, or ask for it in bookstores and libraries near you. 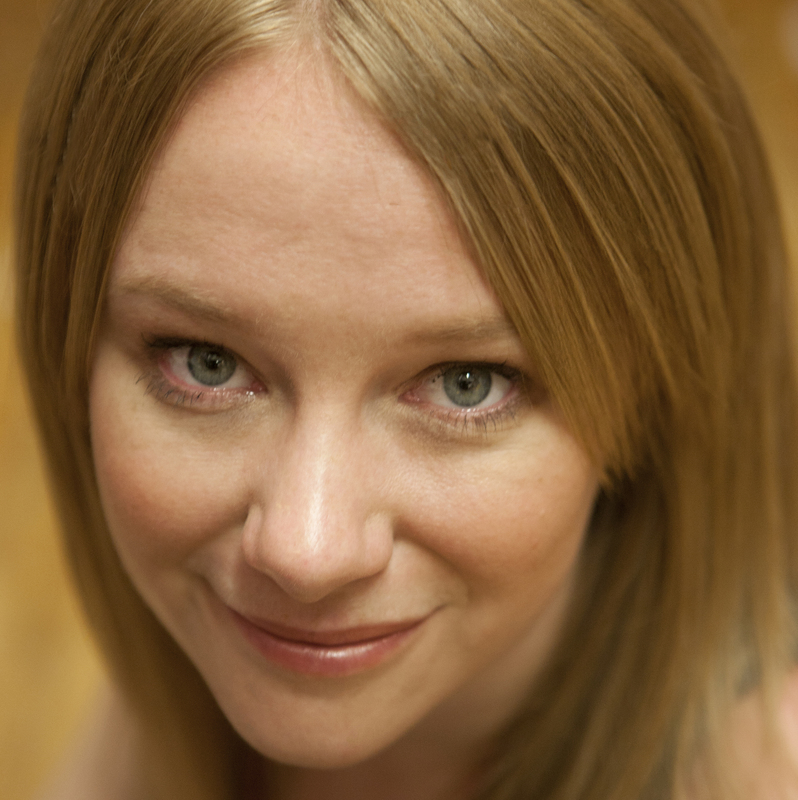 Kelly Jones has worked as a librarian and a bookseller, and has her own (much-loved, but fairly ordinary) chickens. 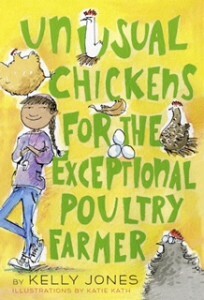 Unusual Chickens for the Exceptional Poultry Farmer is her first novel. 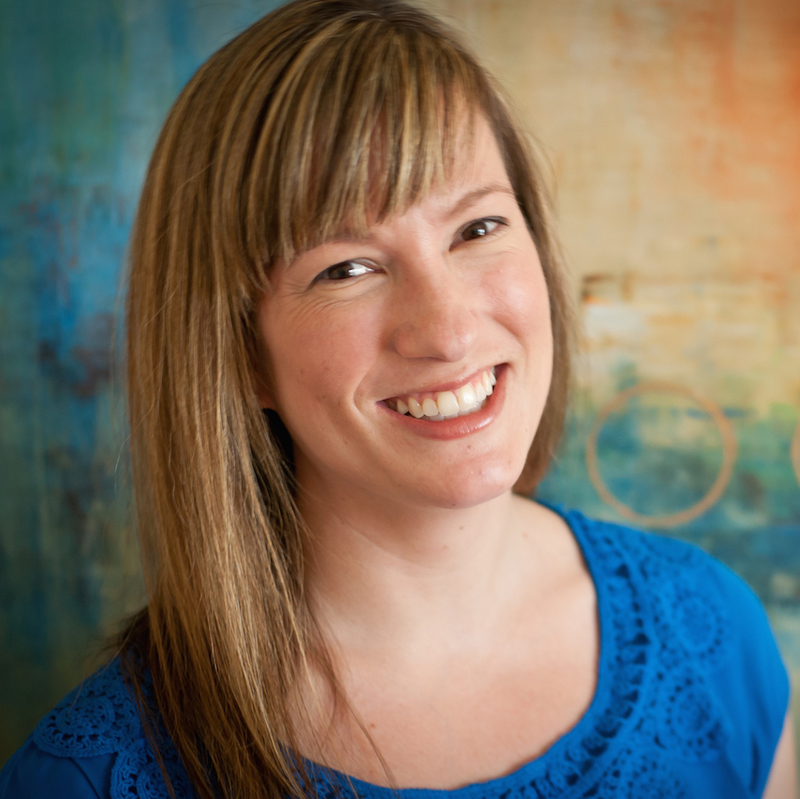 Connect with Kelly on curiosityjones.net, Twitter, Pinterest, and Instagram. It can be tough to be in the middle. Not quite a little kid anymore and not quite a grown-up—but expected to act like one. I know your parents had the same feelings when they were your age, but the passing years have made them forget what it’s like to feel like you don’t fit in anywhere. To be on the outside of games you played just a year ago because now you’re “too old” but still left out of adult conversations because you’re “too young”. They think you have it easy because you don’t have to go to work and earn money to pay the mortgage or the electricity bill—but you do have a job. Your job is to find what makes your heart sing and do it. It doesn’t matter if what makes your heart sing is playing soccer or playing the piano. It could be reading or writing or doing wacky science experiments. Through play we find what we love—we find what makes our heart sing. Yes, I said through play! Even when you are an adult you need time to play. To be creative! You are never too old to play. Don’t let anyone tell that you are—if they do tell you, ignore them. Our bodies weren’t meant for sitting in front of a computer all day. They were built for movement—for work, for play! Get out there and do it, because, even though video games give us a chance to explore places we will never see and put ourselves in someone else’s shoes for a while, that can never compete with actually doing the exploring ourselves. Even if it’s in your own backyard, you might discover something you’ve never seen before and you might even be inspired to make up your own game with the neighborhood kids. You might think that playing games where you use your imagination to make up the story as you go is “kid stuff”. But guess what? That’s what writers do everyday! Whether they are making up stories for books, movies or tv, they are role-“playing”. When I’m doing this particular activity, do I notice the time passing? Do I feel excited when an idea to expand this particular activity strikes me? Do I find myself daydreaming about doing this particular activity when faced with a boring stretch of time? Do I try to find ways to do this activity when I’m supposed to be doing something else? When I’m doing this activity, does it make me feel good about myself? If you answered yes to all these questions, you’ve found what makes your heart sing! Do it because you love it. Don’t let anyone tell you it’s not practical, or that it won’t get you any further in life and you should be taking an extra math class instead of spending time doing what makes your heart sing (blah, blah, blah). Dance! Write! Tumble! Throw a ball! Make up a silly song! 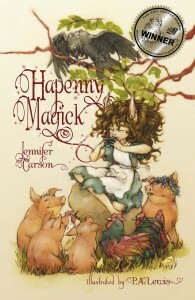 Hapenny Magick can be found at Jennifer’s local bookstore Morgan Hill Books, B&N, and Amazon. Maewyn Bridgepost, the tiniest Hapenny, a race of little people, spends her days, from breakfast to midnight nibble, scrubbing the hearth, slopping the pigs, and cooking for her guardian, Gelbane, who never spares a kind word. As if life as a servant isn’t bad enough, Mae learns that Gelbane is a troll and Hapennies are a troll delicacy. Years ago, a spell trapped Gelbane in Mae’s village. Ever since, Gelbane has been chiseling away the magic protections and now Mae’s home is destined to become a smorgasbord for half-starved trolls. 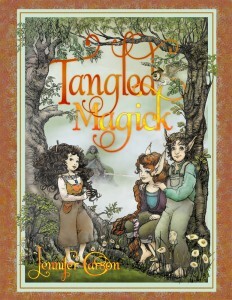 When her best friend, Leif, goes missing, it will take all of Mae’s courage to friend her friend and protect her village. When pitchforks, sewing needles, pots, brooms and a little magick are the only weapons at hand, the hapennies discover that great victories can be accomplished no matter what size you are, but only if you stick together. 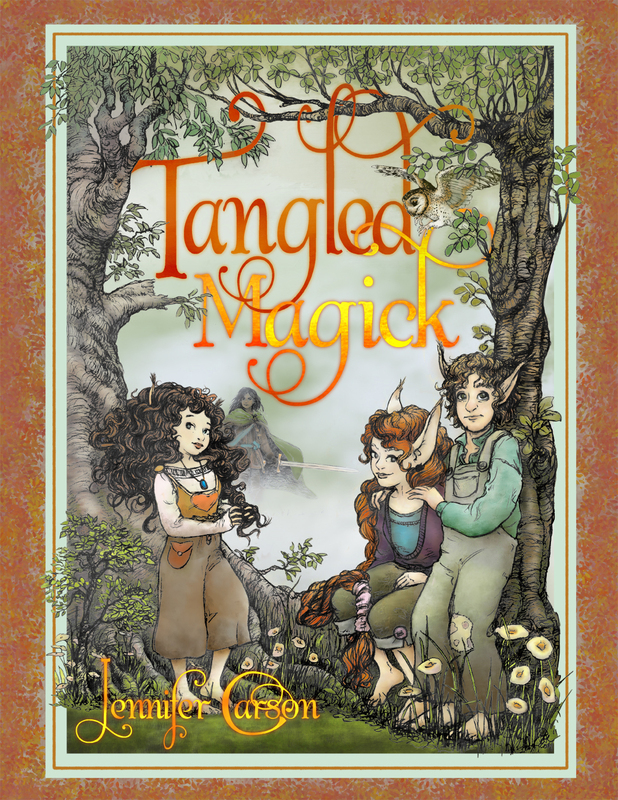 Tangled Magick can be found at Jennifer’s local bookstore Morgan Hill Books, B&N, Amazon, or ask for either book in the series at your local bookstore or library. 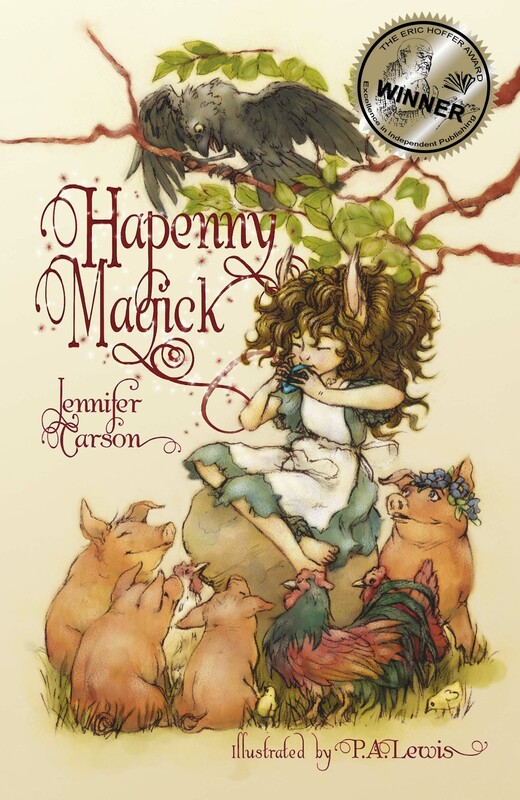 A hapenny should live a simple life, but two years ago Maewyn Bridgepost discovered her magick and saved her village from a troll invasion. Now as an official Protector of the Wedge, Maewyn shares in the responsibility of keeping its residents safe. 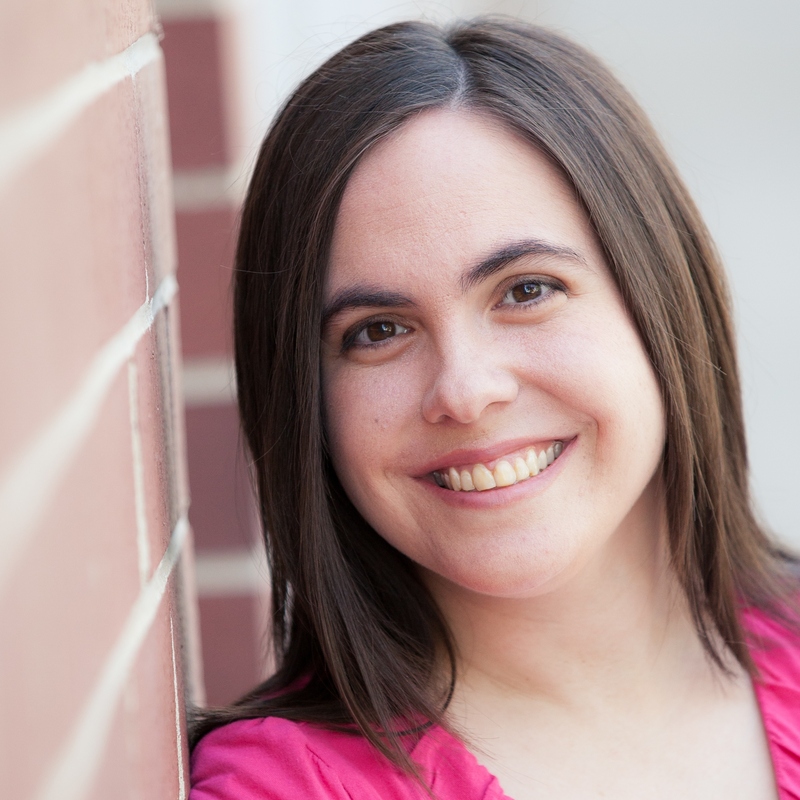 Jennifer Carson grew up on a steady diet of Muppet movies and renaissance faires. Currently she is a mom, wife, author, designer and artist. 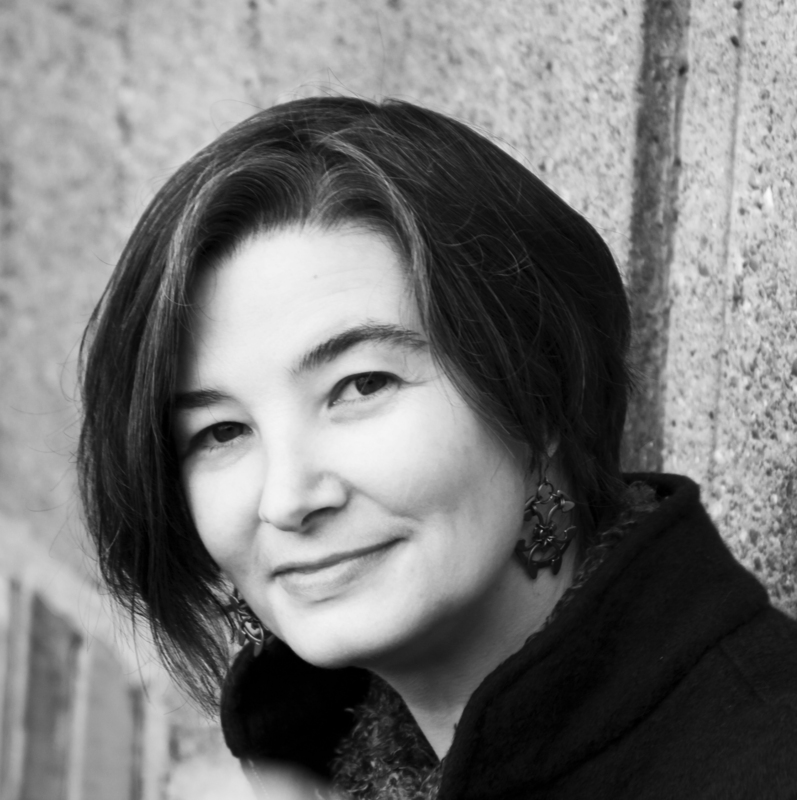 She holds a Bachelor’s in Creative Writing and has published both fiction and nonfiction books and articles. 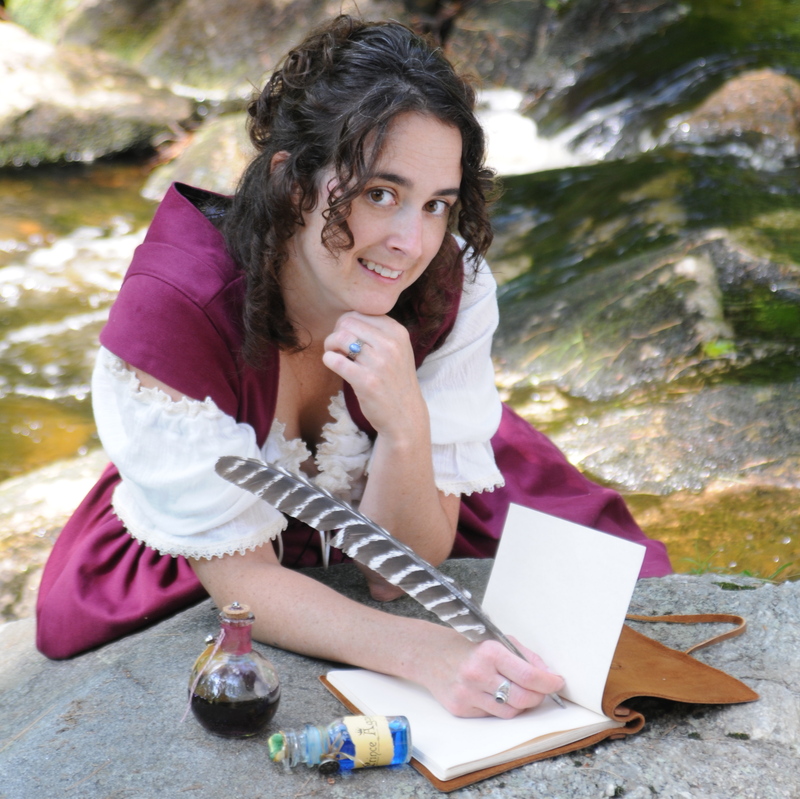 Besides telling tales, Jennifer likes to create fantasy creatures and characters and publishes her own sewing patterns. She lives in New Hampshire with her husband, four boys and many furred and feathered friends. 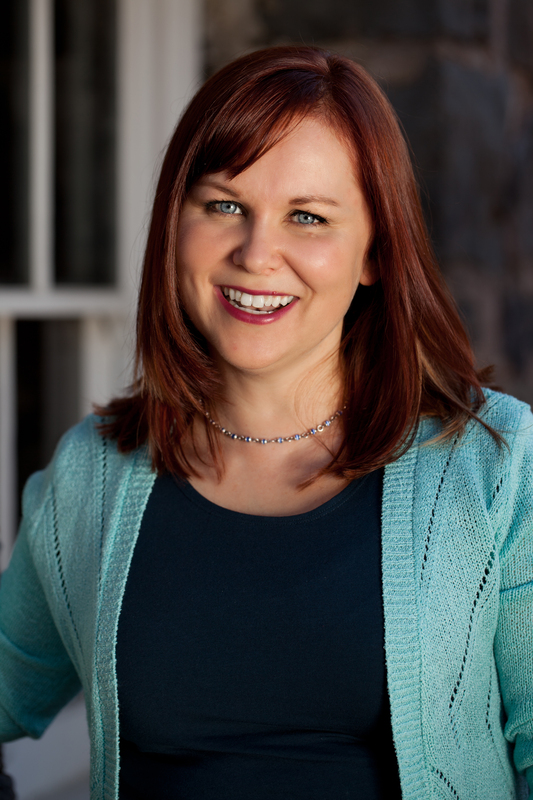 Connect with Jennifer on thedragoncharmer.com, Pinterest, Facebook, and Twitter..